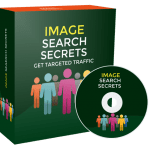 In This PLR Report You’ll Get New Eco-Friendly Technologies to Consider for Your Home Report With Private Label Rights To Help You Dominate the the Eco-Friendly Technologies Market Which Is A Highly Profitable And In-demand Niche. 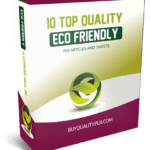 The New Eco-Friendly Technologies to Consider for Your Home PLR Report contents is available in Text file format and can be downloaded instantly after purchase. 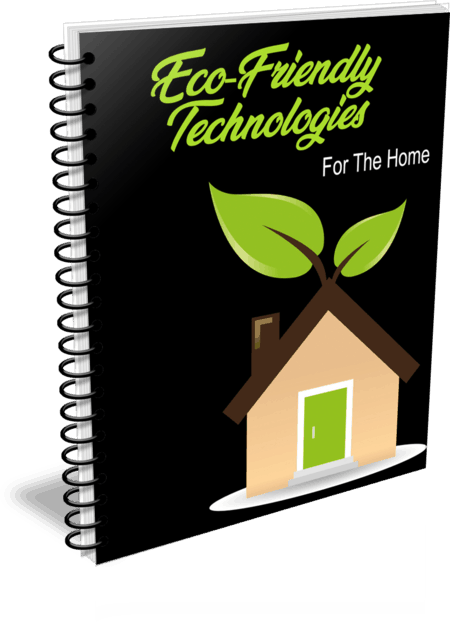 What Can You Do with New Eco-Friendly Technologies to Consider for Your Home PLR? There is so much to consider when you set up a home and care about the environment. Not only do you have to think about the environmental impact of the building, but also the impact of renovating an older home to make it eco-friendlier. Is the cost worth it? Is the impact on the environment worth it? Do enough products exist to make it worthwhile? Whether you have an older home or you’re getting ready to build a new one, there are many benefits to making your home as eco-friendly as possible. Let’s go over some of them, and then we’ll get into more detail about how to make it happen and why. One of the first things to consider is how you can make your carbon footprint smaller. Your carbon footprint is really the damage your existence causes to the environment. All of us damage it, even if we try not to. However, if you actively seek to make your home eco-friendlier, you can help make your carbon footprint much smaller. When you do something as simple as install water-saving shower heads that reduce water use – yet make you seem like you have the best water pressure, you can save as much as one-third of the water you would normally use. This is not only good for the environment but also good for your bank account. When you seek to purchase and use eco-friendly products, you’ll find out that they tend to pollute your environment less. They will be much less likely to off-gas and cause problems in your environment. Plus, a lot of the eco-friendly products have lower maintenance costs and your home will be safer due to having fewer throwaway products. If you plan to resell, it’s important to upgrade your house with the newest eco-friendly appliances, windows, toilets, shower heads and more. 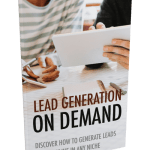 For example, an on-demand water heater saves tons of money, but it’s also a selling point that you never run out of hot water. Most buyers will be looking for energy efficiency, and if you have it and the neighbor doesn’t, your house will sell faster. These are all good reasons to outfit your house with the newer eco-friendly technologies. You may have to put out some money to fix up your home or to build a new energy-efficient home, but in the end, it’ll be worth it to you and to anyone who might want to buy your home in the future. Let’s look at some specific renewable energy options for your home that might help you. Whether you’re contemplating going off the grid from electrical utilities or just trying to supplement your electrical supply to reduce your bill, you will likely be looking into either solar or renewable wind energy for your source of power. Solar panels combined with batteries is the green renewable energy option for the home. Wind power is also possible while not yet as popular an option for individual consumers. A wind generator will require a homestead that is on enough land. But windmills can be reasonably priced. The first thing most people think of when considering eco-friendly energy for their home is solar or wind. However, you may also have an option to use geothermal energy in your home. Using hot water and steam from underground to generate electricity is a safe way to do it. You can even add it to an existing home, but you may have to replace your furnace with a geothermal system. Recreational vehicle (RV) owners have been aware of the usefulness of solar storage systems for some time. Many of them are rapidly adding solar panels to their roofs so they may “boondock” for extended periods. This means that they camp without plugging into any additional power, meaning that they can camp for much longer than they used to. These RVs have an advantage in that that their lighting systems may be a 12V DC system, which would allow the owners to power their lights without the need for using a power-robbing 110V inverter. Homeowners can use as large of a Powerwall battery system as they are willing to pay for. Powerwall batteries come in all sizes and prices and are available from some manufacturers such as Goal Zero, AED Land, Schneider, Somerset, and Tesla. Some battery types were designed for short power outage situations. They will give you something like the service from a portable generator and will be relatively cheap, like the Goal Zero Yeti 1400. Others are intended for actual off the grid residential power service and as you would expect will cost considerably more. These Powerwalls are made up of rechargeable lithium-ion batteries, with some using active cooling. The Tesla Powerwalls costs $6,700, and installation will not be cheap; estimates range from $2000 to $8000. With ever-increasing improvements of battery storage and the sunlight to electrical current efficiency of today’s solar panels, practical systems are being offered by several manufacturers. Some new concepts are still on the horizon, such as Tesla’s solar roofing material that Elon Musk promised in 2016. If it ever does become available, it will revolutionize the market. 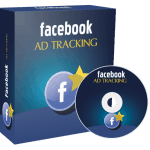 It may pay to keep checking on the progress of any advancements being promised. At the present time, solar panels combined with batteries are the favored green renewable option for the home. With ever-increasing improvements of battery storage, and with the added sunlight to electrical current efficiency improvements of solar panels, practical systems are being offered today by several manufacturers. You may wait for the promise of Tesla’s solar roofing material to show up, but there are many products available today. Many people have already opted to install systems that are working for them and are proving to be cost-effective over the long run. Most people who opt to go ahead and do it today with today’s technology are very happy they did. One thing that helps conserve energy, whether you’re using solar or not, is to purchase the greenest appliances that you can for your home. This will help cut down on the power drawn from the appliance, which will lower the need for more solar and is also a way to save money on solar. Finding green appliances is a lot simpler today than it used to be. Most appliances these days carry the energy efficient seal even when they seem high-powered. In other words, you don’t lose much by opting for the green appliances over the conventional ones. One key in succeeding with renewable energy for the home is to use efficient appliances and lighting. The adage that time is money really does apply to energy costs. Energy is power (rate of doing work in units called a watt) multiplied by time, and is given in units called the watt-second or joule. Essentially, you are charged for the electricity you use by the watt-hour. Appliances that will cook food faster or cool a home quicker using less time, while using the same power consumption, are consuming less energy. Therefore, microwave ovens are considered energy efficient. They may still require considerable power to operate, but usually the time required to heat food in a microwave is a fraction of the time needed for heating in a conventional oven. Then there is induction cooking, which is very efficient. About 90% of the heat generated reaches the food, whereas the standard stovetop loses heat to the surrounding air. When it comes to conventional appliances, they can be Energy Star certified. It is a trusted symbol of efficiency. Energy efficiency is also rated from A to G, with A being the best-rated efficiency. Yearly costs to run the appliance can be shown too, which will help you make not only power-using decisions but also money-saving ones. Buy a self-cleaning oven because it will have extra insulation which is needed for the high temperatures required for cleaning. The better-insulated oven loses less heat to its surroundings and bakes more evenly than the other kind. Refrigeration pumps cycle fewer times for a refrigerator with better-insulated walls. Even dishwashers benefit from added insulation, beyond just better noise reduction. It also keeps hot water hot throughout the cleaning cycle. All these kitchen appliances can be comparatively shopped by judging from their energy rating or posted yearly operating cost. Vacuum cleaners are big energy consumers. A vacuum cleaner, on average, can draw as much power as a room air conditioner. Many will tout their current draw as if it were some indication of cleaning power, but all it really means is that it draws more electrical current, and may not even work better. More current times the voltage from your outlet, equals more wattage used to run. What you really should look for instead is something that you can either readily or easily use and will get the job done without drawing so much electricity. Don’t be swayed by a sticker showing a higher current draw. Test the effectiveness of the product instead. Washers in recent years use detergent marked HE for high efficiency. They create fewer suds and use less water to help become greener for the environment. This also reduces costs, which goes hand in hand with the less power needed to clean, so you will benefit from two reduced utility bills. Remember, if you want to buy more energy-efficient appliances for the home, look for the Energy Star certification, test products for effectiveness instead of being fooled by energy draw, and realize you don’t have to buy the most expensive product to save energy and money too. 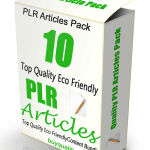 How to Purchase This New Eco-Friendly Technologies to Consider for Your Home PLR Report? 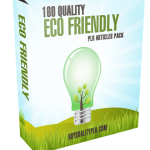 We will only be selling 50 copies on this New Eco-Friendly Technologies to Consider for Your Home PLR report, so don’t waste any time and grab your PLR license while it’s still available for sale.